The Platinum Tools JH21W 1-5/16” Size 21 Batwing J-Hooks are suitable for heavy-duty hanging and organization of different cable types. These traditional style, construction grade, multi-purpose J-hooks provide stress-free cable support and also help organize and build a distribution pathway for various types of cables. These J-hooks can be used for above-suspended ceilings and below-raised floors. 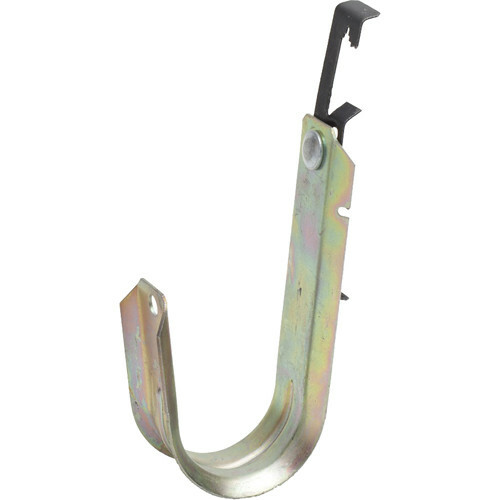 These CL- and CUL-listed hooks are suitable for your garage and shop. Box Dimensions (LxWxH) 12.0 x 11.9 x 8.3"